As Yadav heaped praise on PM Modi, the latter smiled and folded his hands in gratitude for the words of appreciation. New Delhi: Samajwadi Party patriarch Mulayam Singh Yadav on Wednesday backed Narendra Modi for another term as prime minister. Soon after Yadav’s big statement in the Parliament, Congress chief Rahul Gandhi said he disagreed with the former’s remarks. “I disagree with him. But Mulayam Singh Yadav Ji has a role in politics and I respect his opinion,” he said. 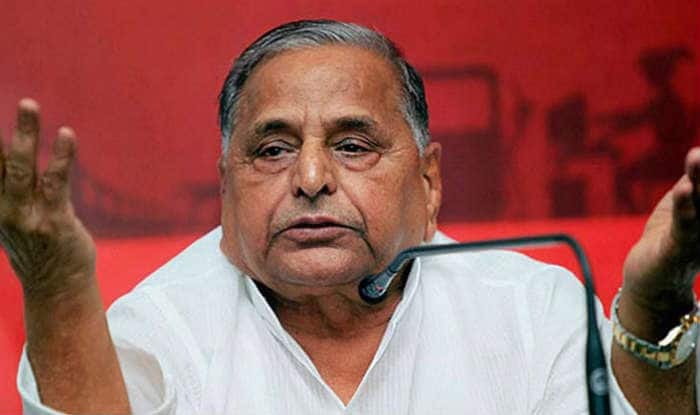 Mulayam’s praise for PM Modi comes at a time when his son Akhilesh Yadav has joined hands with SP’s once arch-rival Bahujan Samaj Party (BSP) to take on the BJP in the Lok Sabha polls. Akhilesh has even been at the forefront on the opposition making efforts to stitch the grand alliance to unseat the BJP at the Centre in the upcoming general elections. The internal rift within the Yadav family came out in public after Akhilesh Yadav joined hands with Rahul Gandhi for the Assembly elections in Uttar Pradesh. Their alliance, however, suffered a crushing defeat at the BJP’s hands. While Mulayam is the patriarch of the party, he is believed to be closer to brother Shivpal Yadav who broke away from SP to form Samajwadi Secular Morcha.